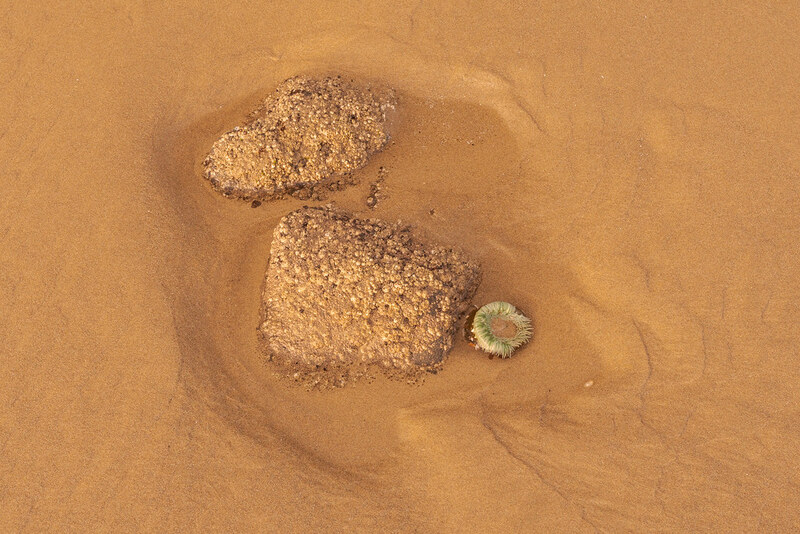 Away from the large tide pools was this little one, two small rocks covered in acorn barnacles and limpets and the occasional snail, with one giant green anemone growing beside. 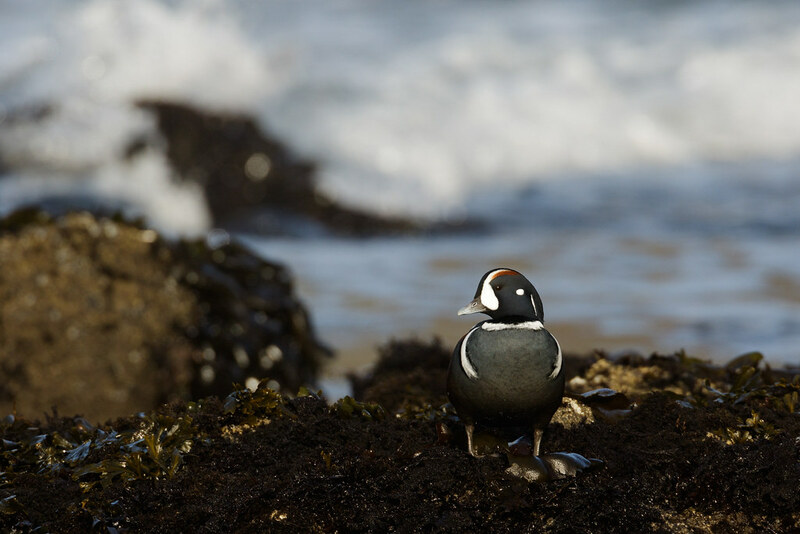 I had visited Heceta Head before but spent more time on this visit, photographing birds near the creek and wandering up to the lighthouse. Sadly it was only as the sun began to set over the Pacific that I realized there were tide pools here, in a part of the beach I hadn’t yet explored. 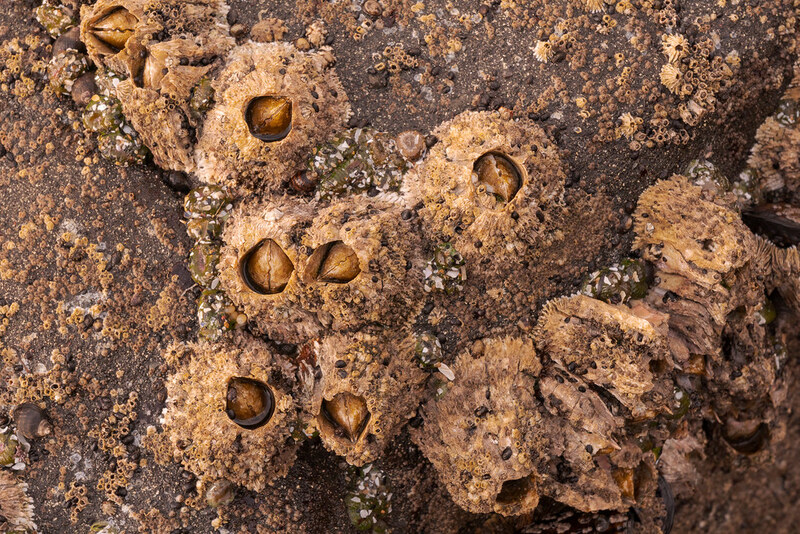 I took a few quick pictures in the soft orange light, here of large acorn barnacles, and made a mental note to visit again when the tide was out as photographing tide pools was something I wanted to do more of. Sadly it was my last visit to the coast before we moved so it will be a while before I can visit again. Life is precarious in tide pools. 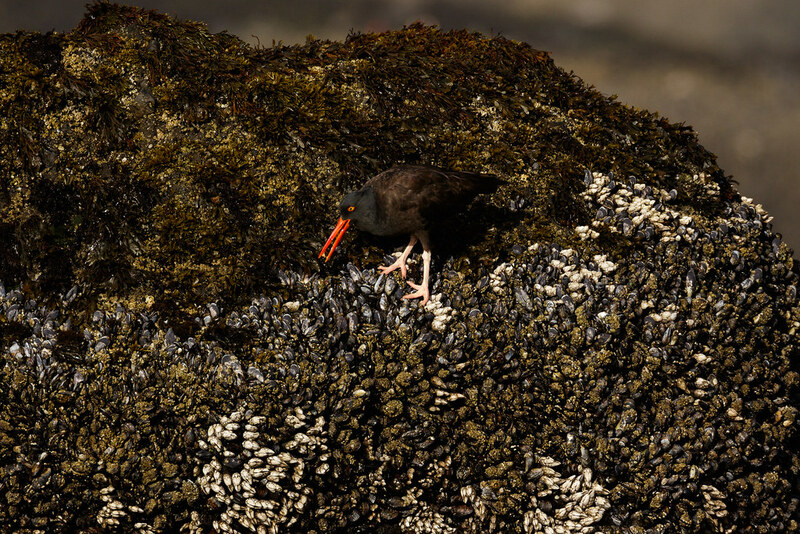 Mussels and barnacles that live too low on the rock surface are within reach of predatory starfish. Those too high are at risk of drying out while they wait for the rising tide. And in this case, the high spots also had just enough purchase for a black oystercatcher to walk along their perimeter, feeding as it went. But its target on this day was not the mussels and barnacles but the snails that feed on the algae on their shells, here it is about to swallow the soft part of a snail it has extracted from its shell. The oppressive summer heat might be the biggest obstacle I had to overcome to be willing to move to the desert, but not far behind was saying goodbye to the coast (and in California, the nearby wetlands). I was rather taken with tide pools and the coast in general on visits to the redwoods in California and the rain forests in Washington and decided to make a concerted effort to visit the coast more often, which is why I was at the Oregon coast on this day in early October. A few weeks later I’d find out my team was getting laid off and thus started the process that would take me from the Northwest. I changed the lock screen on my phone to this picture of a harbor seal as soon as moving to Arizona became a possibility, before it even became a strong possibility, to force myself to think repeatedly about whether I could really give up the coast. I decided I wasn’t ready to say goodbye to the coast, and never would be, but I was ready to say hello to the desert. And to the desert I go. 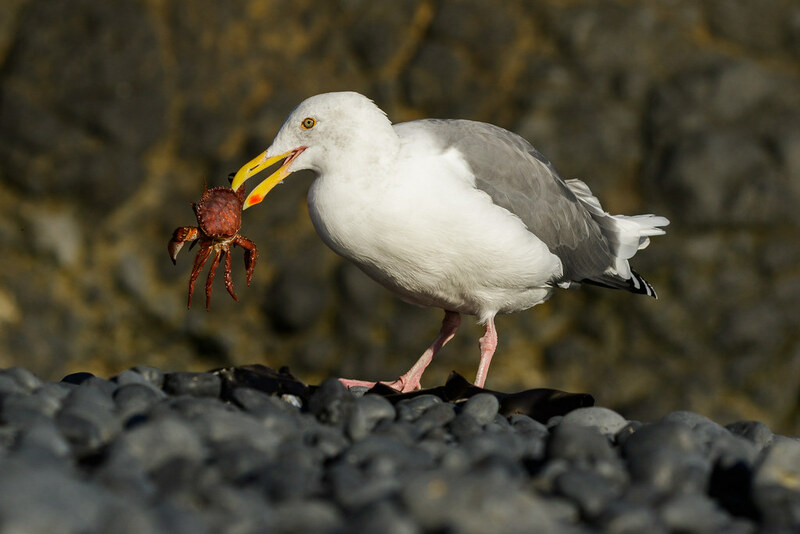 It might look like this western gull has just caught a red rock crab but the crab was long dead. No flesh yet remained, yet the shell and legs were still held together by a thin material. Usually the dead crabs are scattered in pieces around the beach so I was surprised to see the crab of a piece, and perhaps the gull was too, as it quickly dropped it when it realized there was nothing left to eat. 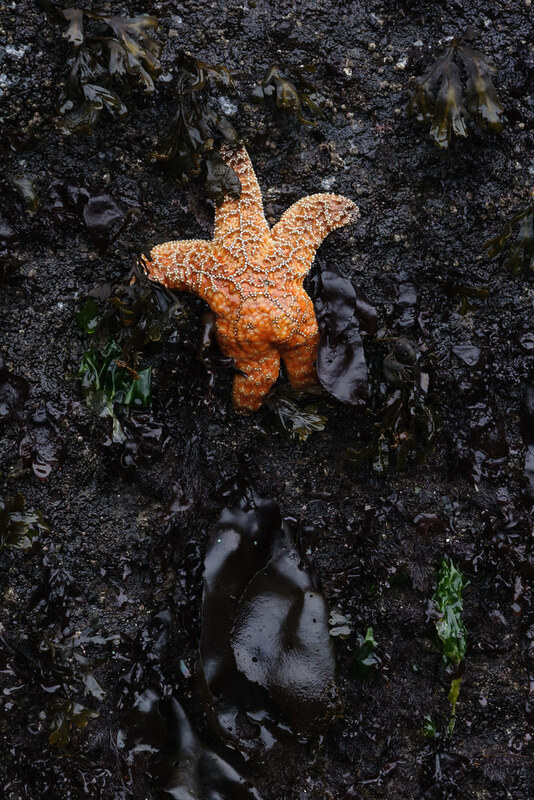 Pity the starfish that does not take advantage of the cover of high tide to go to the bathroom when no one is watching. This poor fellow clinging to a large boulder was left high-and-dry by the receding tide and could do naught but cross its legs and hold it in. Waiting for the inevitable return of the sea but tortured always by the sound of splashing water. 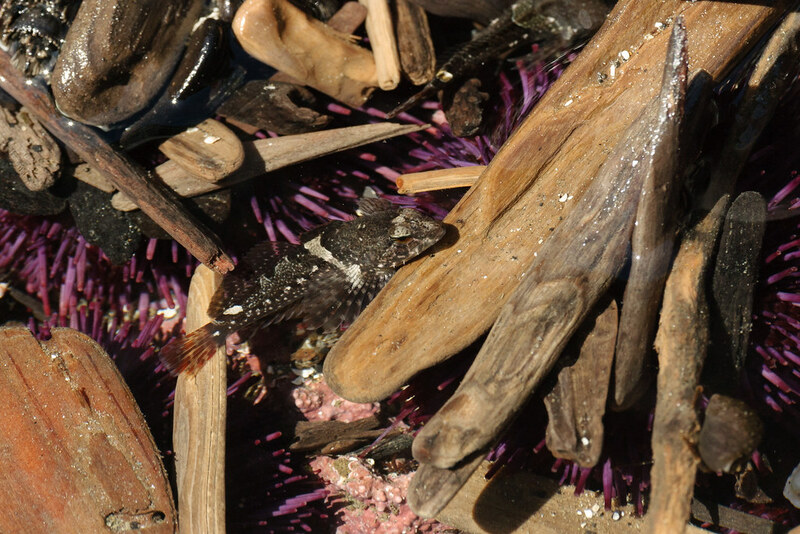 A sculpin is nearly hidden in the jumble of objects in the shallows of a tide pool at Yaquina Head Outstanding Natural Area in Newport, Oregon. These small sculpin species will spend their lives in the tide pools, with birds and larger fish their primary predators.